Colours and Honours is an important opportunity for our students to show appreciation to the students and staff members that support us through our time at Birkbeck, Unviersity of London. While every person who has taken part in any of our student-led activities has made a valuable contribution, it is important to recognise our members who have gone above and beyond the call of duty by volunteering their time and skills to their peers. The nature of evening study means that many of our students have multiple commitments outside of University, which makes the tremendous commitment and dedication we see year after year even more impressive. This year, our Colours and Honours award ceremony was held at Student Central, London. The event was opened by Nicholas Baker, Student Leader of Birkbeck Students' Union, where he congratulated award winners for contributions to improving the student experience at Birkbeck. Award winners range from clubs and societies committee members to members of staff who had supported groups of students from settling in to academic life or helping and inspiring students to always achieve more. 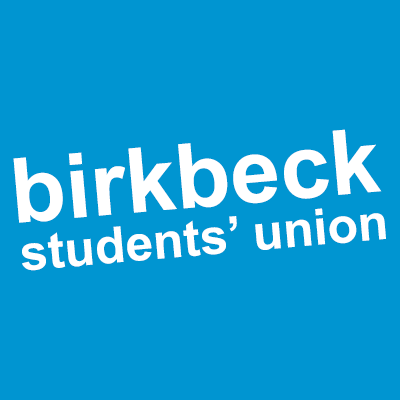 This year, the Students' Union had received over 50 nominations for students and staff at Birkbeck. We had two notable recipients to be nominated and awarded for their contributions in making international students settle in the UK. La Young Jackson and Catherine Charpentier were both nominated by Serveh Ebrahimi, a PhD student in Intercultural Communication. Ebrahimi nominated the two members of staff for being friendly and approachable, in addition to helping international students settle into the UK. We also had 18 student societies committee members awarded that received an award! They ranged from Archaeology to Psychological Society! It is the dedicated committee members who have been able to build a vibrant student community through their dedication and commitment to make their clubs and societies active and successful that the Students' Union recognises their efforts. Louise Rolland (right), President of the Birkbeck College Applied Linguistics Society, receiving Half Colours. Sara Hurley (right), Environment and Ethics Officer, receiving an Full Colours. A speech was given by Fraser Keir, the Academic Registrar, where he noted that this was a significant year for the Students' Union, as its turnaround plan to getting out of neutral has shown real promise in delivering to students' needs. Keir said that he was delighted to see the Students' Union in being able to cater its diverse student body and also listen to the needs of students more effectively. 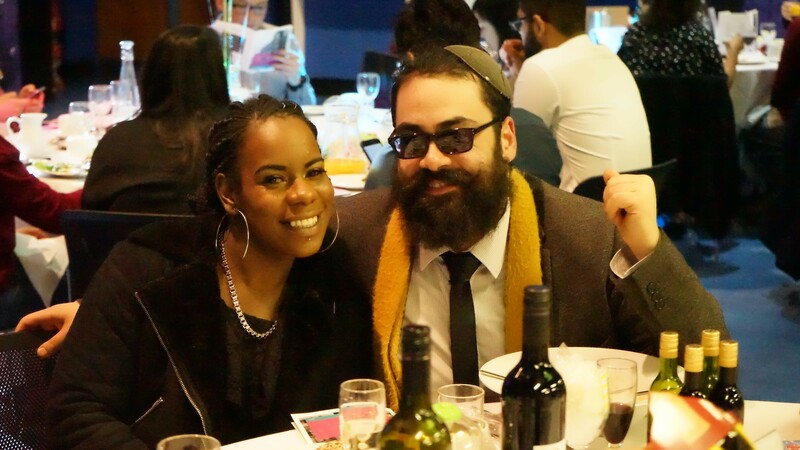 Shakira Martin (left), President of the National Union of Students, and Eliyahu Goldsobel (right), Student Leader of Birkbeck Students' Union. It was a pleasure to have Shakira Martin, the President of the National Union of Students (NUS), as our guest speaker for our awards ceremony. Martin spoke about some of the important work that she has done at the NUS, during her presidency, and thanked our Student Officers and students for their continued support in some of the work that the NUS is doing. Martin reaffirmed her commitment to mature and part-time evening studies, and will continue to speak out for part-time and mature students. The evening ended with Eliyahu Goldobsel, Student Leader of Birkbeck Students' Union, announced the final awards for Outstanding Colours, a recognition to several individuals who have contributed immensely to the experience of Birkbeck students. The following students awarded were: Hana Faber, Sophia Moreau, and Mark Pimm. Mark Pimm was the only member of staff to have received this accolade. Sophia Moreau was awarded an Outstanding Colours in recognition for her work in raising awareness of the issues that student carers face. Moreau has worked tirelessly this year to run an active Women's Campaign on campus, and to fight for the rights of student mothers across the country; her work has even been recognised on a national level by the NUS Woman's Campaign, where she won Highly Commended Inspirational HE Woman of the year, and as one of Parliament's 30 Student Leaders as well. We would like to thank everyone who has taken the time to submit an nomination and also to make this event possible. This year has been a huge year of change for the Students' Union and it is a continued pleasure to see many students engaging with the Students' Union. 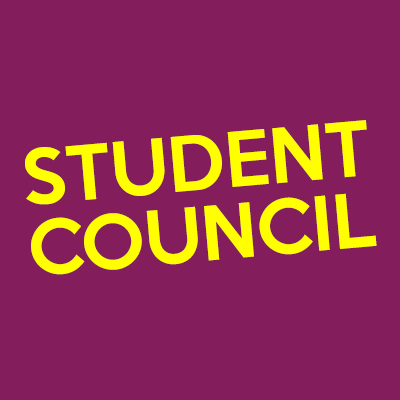 We've seen some of the highest voter turnouts in our Student Elections in years; increased student engagement in out social networks and activities; a successful Coexist Campaign, celebrating the diversity of our student body; a successful 24 Hours Library Campaign that has seen a secure in funding for a trial of the scheme in 2018/19; and the shortlisting of the Birkbek College Applied Lingustics Society in the National Societies Awards. Without our students, this would not be possible. For more details about Colours and Honours, visit: www.birkbeckunion.org/student-life/colours-and-honours. Check our our Facebook Page for photos!